Town Creek Marina, Beaufort, North Carolina’s only full-service marina, features state-of-the-art floating docks and premier marina amenities. Just east of the new Gallants Channel 65’ fixed bridge on Beaufort’s Highway 70, Town Creek Marina serves as the gateway to Beaufort by land and by sea. Home of world-class fishing and unspoiled coastal waters, as well as the infamous pirate Blackbeard, historic Beaufort’s quaint downtown area features a wealth of maritime history, world-class restaurants and boutique shopping — all just a short distance from the marina. Town Creek Marina’s hardwood floating docks with minimum 8’ MLW and 12’ MLW approaches accommodate both long-term and transient vessels up to 180’ in length with 30, 50 or 100-amp electric service, in-slip fueling with ValvTect marine diesel and ethanol free gasoline, and free softened water and Wi-Fi. New boat lift slips on the east side of the marina accommodate vessels up to 40’ and 24,000 pounds. Our new wet slips and boat lift slips are available for short-term and long-term lease, and are also now available for sale. Town Creek Marina also offers covered dry stack storage for up to 45 boats. Our Parts & Service Department offers a complete range of boat repair, upgrading and up fitting, gas and diesel engine installation and maintenance, winterization, 24-hour emergency repairs, pump out, and mobile repair service. The full-service yard features a 50-ton travel lift and a fully trained staff who specialize in mechanical, electrical, fiberglass, paint, gelcoat, and boat system maintenance and repair. Our qualified staff of technicians are certified to service Yanmar, Cummins, Mercury/MerCruiser, Suzuki, Onan, ZF Marine and Zeus systems and have experience servicing many more. And, should the need arise, Town Creek Marina’s Hurricane Storage Program can put your mind at ease and your boat in a safe place to weather the storm. City Kitchen, the marina’s on-site restaurant and waterside bar, offers exceptional New American cuisine with indoor or outdoor seating. With unparalleled views from the waterfront verandas and outdoor decks, City Kitchen and Town Creek Marina boast one of Beaufort’s most beautiful spots for catching the sunset and watching the fishermen bring in the day’s catch. Our well-stocked Ship’s Store can fulfill all your needs for a memorable day on the boat, from cold drinks, snacks, boating and safety accessories, bulk and bagged ice, bait and tackle to apparel. Clean restrooms, showers and laundry facilities as well as the convenience of our courtesy car make you feel right at home. Family owned and operated for more than 20 years, Town Creek Marina’s friendly, knowledgeable and professional staff are ready to assist you with all your boating needs. 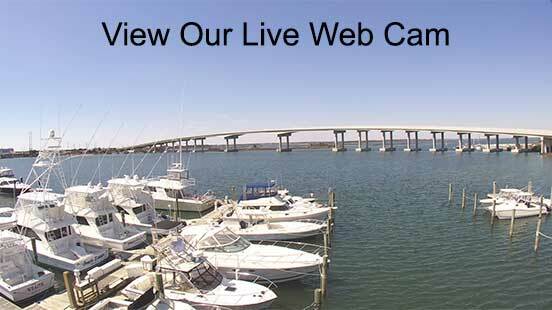 Wet slips & lift slips for purchase at Beaufort’s only full-service marina!